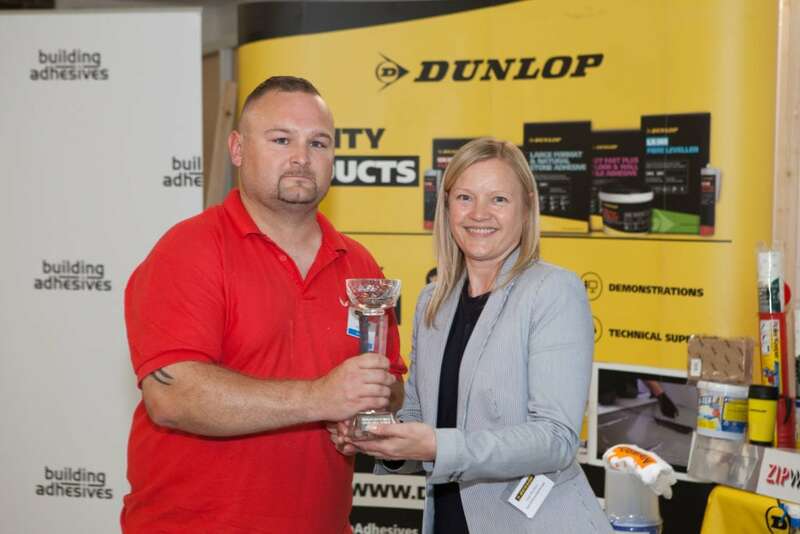 Jason Skitt from Walsall College has been named as Dunlop’s Multi-Skill Champion 2017 after triumphing in a number of construction tests. 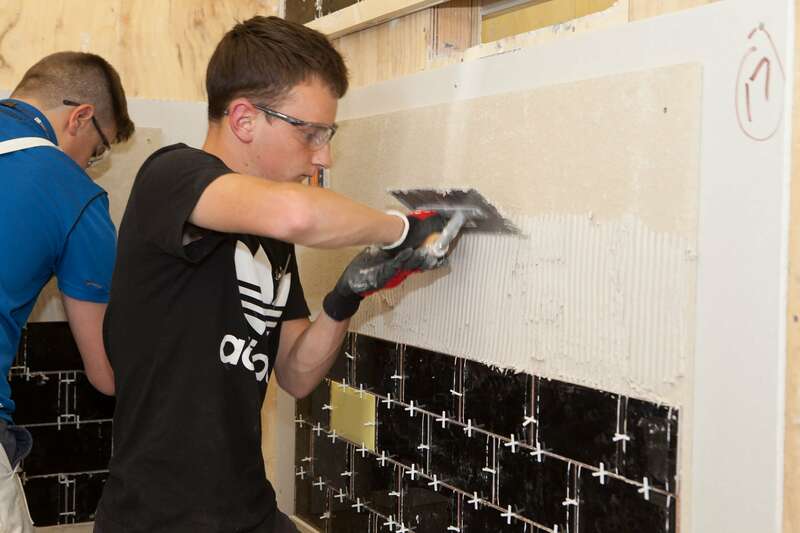 The competition organised by the pioneering manufacturer of tiling, decorating and flooring products for the trade – supported by NoMorePly® – celebrates and supports students who are looking develop their practical skills before entering the construction industry. 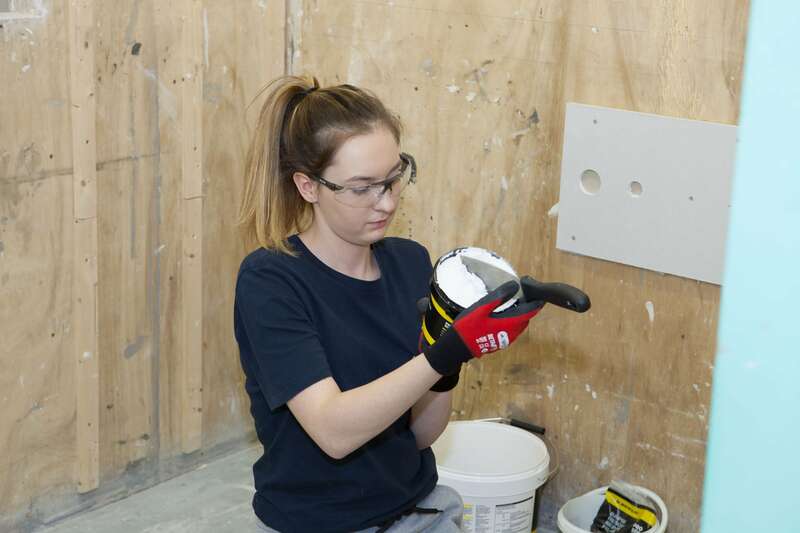 Eighteen college students from across the UK took part in tiling, decorating and carpentry challenges at the competition’s Grand Final which was held at Dunlop’s Innovation and Technology Centre in Stoke-on-Trent on Thursday (15th June). Redbacks Kneepads, Stakrak, Jobman, Picasso Brush, Obvious Solutions, Roller Squeegee, MarXMan, Catapiller, ZipWall, Gripper Cloth, LadderLimb, Big Wipes, Home Strip, Cyklone, Go!Paint, SureTile, Wallrock, Coral Tools, Buddy Tools, Drill Bit Kit, Raptor Wrap and Marcrist Tools. On being named the champion Jason said: “I’m very surprised to win! I really didn’t expect it, but I tried my best and it’s played out so it’s great. “I’ve just signed up for Level 3 BTEC in Construction Skills which starts in September to build on the 6219 course which I have really enjoyed.